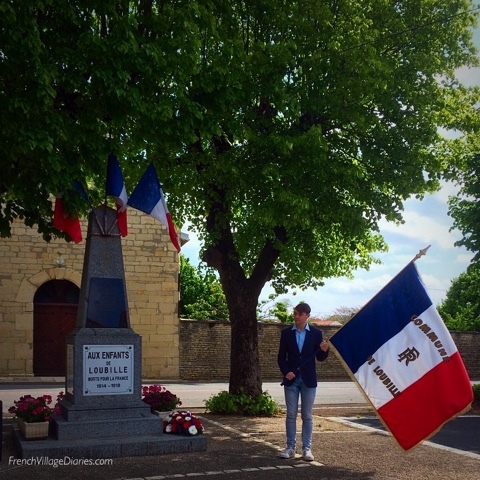 Every year on the 8th May a small ceremony is held in our village to commemorate Victory in Europe Day; a public holiday in France. 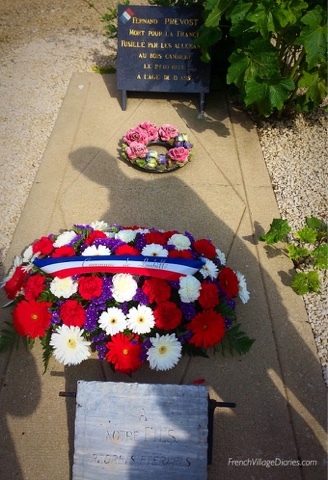 This year, just before the official ceremony at the memorial a moment of silent reflection was observed at a simple grave in the village cemetery; the resting place of Fernand Prevost, aged 18, who was shot dead by the SS troops just outside the village in July 1944. Now we have sadly lost our old soldiers, the holding of the flag has been passed on to the younger generation and Ed did us proud once more. I think he is hoping that photos like the one above will help him with his French nationalisation request in a few years. 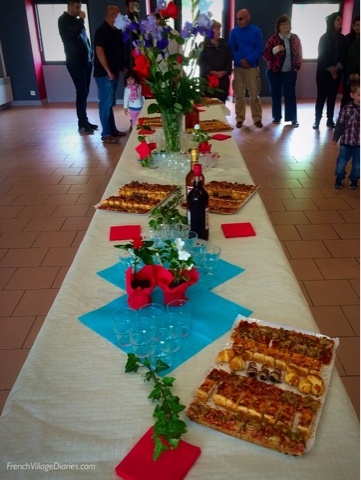 As usual, after the ceremony we gathered in the Salle des Fêtes for a vin d’honneur (wine of honour) and aperitifs. 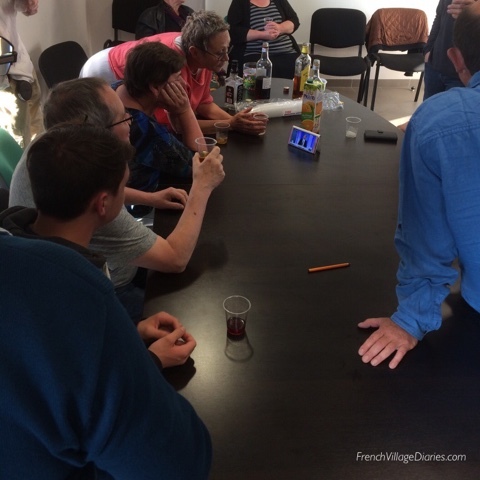 It seemed only a few hours since we had been drinking aperitifs with some of the villagers, which if I’m honest it was, in celebration of another victory for Europe, the defeat of Marine Le Pen. 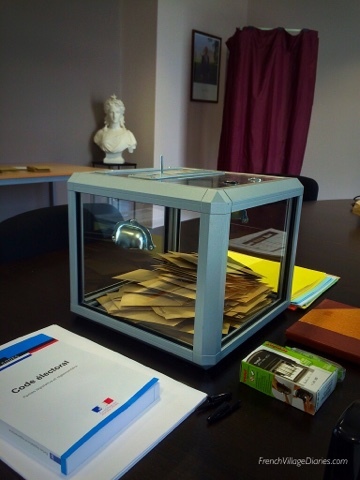 I had helped man the bureau de vote on Sunday afternoon, where strict controls and counts are kept on who arrives to vote. I checked their voting cards and date stamped them, initialled a register and sent them off to the voting cubicle. Upon their return I got to open the slot in the ballot box and then we all cried out “A Voté” (voted) as the envelope slipped in. My colleague then requested their signature on another copy of the register and handed their cards back. Despite the seriousness of the event, all this was done with the usual kisses, handshakes and conversation that is normal in a French village and made me feel included even if I had no right to vote. 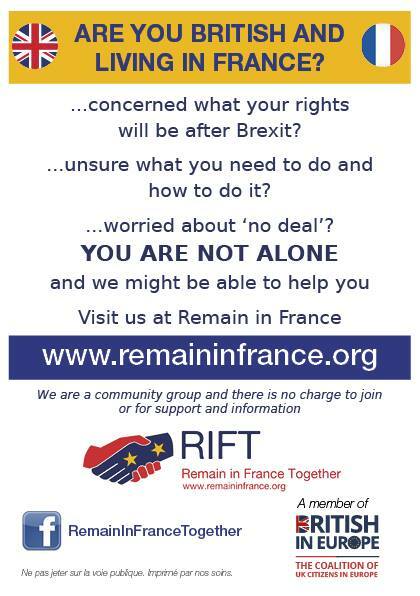 Our village had a turnout of 190 voters and Macron won with 56% of votes, slightly less than the national average and it was a very close count at one point. 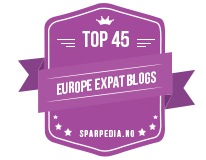 With the hope other towns and villages would follow our trend I began to relax a little about our future for the first time in a few weeks. Once the official voting documents had been deposited at the local Gendarmarie, the aperos were served and we all gathered around to await the eight o’clock announcement on French TV as to who was likely to be our president. An hour of light hearted political banter followed before we all made our way home, relieved and happy. It certainly has been an action-packed couple of days in our quiet village. You might also like to read my previous VE Day posts from 2013 (here) and 2016 (here).